The 2016 election demonstrates why newspaper editorial endorsements of candidates might not (ever) make any difference but at least Trump has one, finally; even if the paper is owned by Sheldon Adelson. The Las Vegas Review-Journal editorial board endorses Republican Donald Trump for president. 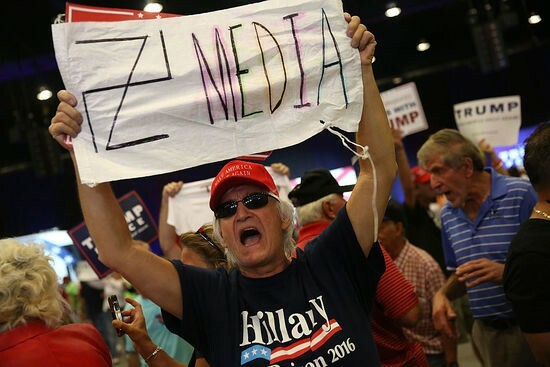 Trump demonizes the media even as he is guided and endorsed by media moguls, which makes little sense if one wanted to develop an anti-media, media channel. OTOH, that is the reactionary hook for FoxNewsCorp, the quasi-secular press organ of the GOP-RWNJs and explains the self-destructive path of Glenn Beck and Roger Ailes there. Such a nascent Trumpian anti-channel might represent the purest form of capitalist information, a commodity devoid of social meaning, yet chockablock with angry message. IOW, if monetized, like underpants gnomes, it’s phase-3 (pure exploitative) profit. 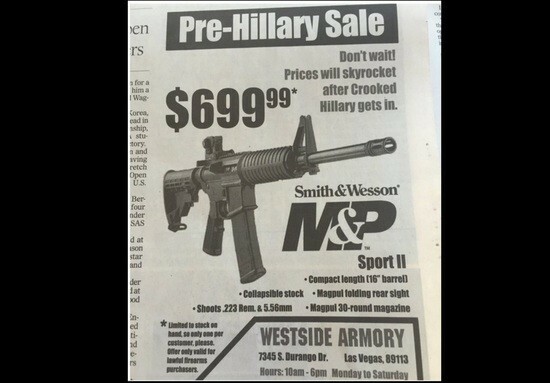 Such political nihilism would exemplify a 2016 campaign of barbarism with an orange face. The battle of candidate credibility would explain the endless campaign character attacks devoid of detailed policy proposals. This imploding credibility comes even with the latest news of Trump’s Gettysburg speech outlining 100 days of circuses talking points and putting out a contract on the American voter. Credibility is all, however ephemeral, and negates any substantive effect on voters as much as Trump both uses it and concurrently attacks it with ultimately negligible results. This helps explain the strangeness of having Trumpites denounce the media at each Trump rally. This dialectical contradiction renders void yet positive his savings from “free” media in the run-up and is both cynical and shrewd in terms of future audience formation as commodity. Ultimately this self-defeating zero-sum approach to media might only serve to organize the audience niche of any post-election new Trump media project beyond having any effect at the polls. For tehDonald, it’s more about ratings than votes. According to recent survey data, over one-half of voters perceive that the media is politically biased in its reporting, and these perceptions of media bias have increased over time (Pew, 2005). If voters are unsophisticated and do not adequately account for any political bias in information provided by the media, then left-leaning media sources may systematically improve electoral outcomes for Democratic candidates and likewise for right-leaning media sources and Republican candidates. …relatively low levels of media credibility are certainly suggestive that voters do attempt to filter out media bias. Yet there is little direct evidence that any reduced reliance on biased media reports is reflected in voting decisions, the ultimate political outcome. Trump’s whole campaign has driven more nails in the coffin of media effects, (for example stochastic violence can be spree killing rather than a random terrorism) requiring a look at other measures of voter participation and suppression now looming. This media activity as campaigning has destroyed the Trump brand, and required perhaps a new post-bankruptcy version of the corporation’s hotel division to be renamed Scion. Will Trump and his family escape his corporate brand’s shock doctrine, one whose invisible tiny hands have apparently groped all women too many or one woman everywhere. The Las Vegas Review-Journal is owned by the family of Sheldon and Miriam Adelson through their controlling interest in News + Media Capital Group LLC. 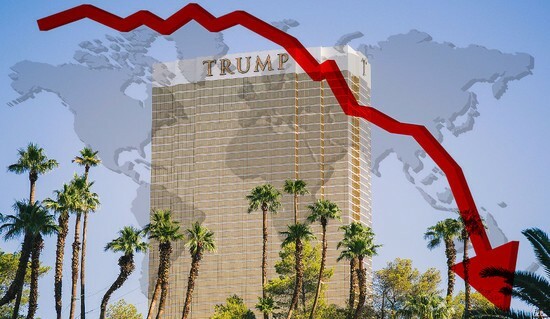 Nightly rates at the newly-opened Trump International Hotel in D.C. plummeted below $500 while practically every other five-star property was sold out for the International Monetary Fund conference two weeks ago. And after his remarks about Mexican immigrants, two celebrity chefs backed out of their contracts to open a restaurant in the hotel. This entry was posted in 2016 Election, Celebrity, Media, News, Politics, Presidential Elections, Propaganda, Uncategorized and tagged Donald Trump, Journalism, Media, News Media. Bookmark the permalink. The Phoenix AZ major paper, the Arizona Republic, endorsed the Democratic candidate for the first time in its 126 year history. Phoenix metro area has over 4.5 million people. So “major” newspaper? Not so much. 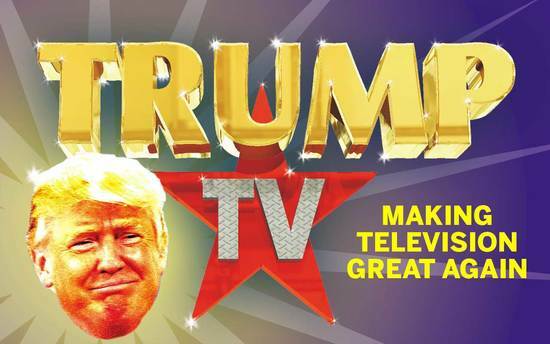 Trump TV aka The Prepper Channel. Craig T Nelson and Gary Busey can finally do that chemtrail docudrama they’ve been planning in the “bunker”.